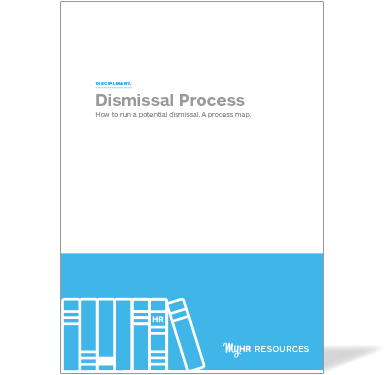 Follow this 9 step guide and run a potential dismissal process like a pro! Are you having disciplinary issues but not sure how to manage a dismissal? If you've decided you need to undertake a disciplinary process that may end with termination of employment but you're not sure where to start download this free, high-level process map.